The medical cart design team at HUI has been a close-knit group for many years now. As we continue to welcome the New Year, we’re excited to get started on our 17th year designing medical carts together. As time has passed, the team has gained valuable experience and knowledge with every new cart design. That’s why we thought we’d let you in on some of the secrets we’ve learned from 17 years of medical cart design and manufacturing at HUI. 1. Have all the right people in the room. If someone has input on the cart, include that person in the decision making process from the beginning (e.g. regulatory, purchasing, marketing, etc.). 2. Start your medical cart project sooner than you think. Especially if you’re planning on getting your medical device classified. 3. Make sure you have a project manager running the project, to keep your team on pace for your deadlines. 4. Totally define the scope upfront. Avoid opening the scope up again. 5. Have weekly meetings with your medical cart design team to reduce rework. 6. Involve your marketing department from the beginning. They usually have a big say in the final design, so don’t shut them out until the end. 7. When we work with a cross functional cart development team, their cart often goes into production much faster than the teams without a cross functional team. 8. Shipping a cart is not simple. Shipping is a very important part of the design. It is just as important as the cart. There are many decisions involved in how the cart will be packaged and shipped out. 9. Build a functional prototype quickly, especially if you have moving components. It will show everyone the size and the location of the cart’s features. It’s also a good way to get people to make decisions, or change their opinion once they see it in person. 10. Your concept model is not set in stone. The concept stage is a great time to explore different design options, it’s much more efficient than right before building the prototype. 11. Don’t overthink the small stuff. Build a prototype to test it out, you can always change it. 12. Don’t skip the concept stage. 13. Think about how your device will attach to the cart when designing your device. 14. Don’t blow the whole tooling budget on the device, especially if you want the cart to be an extension of the device. 15. Work with a Build-to-Order manufacturer, so you can make design changes after the cart goes into production. When your cart supplier has inventory, it’s harder and more expensive to make changes. 16. Cart designers can build medical cart prototypes with many different levels of aesthetic details. 17. Use the functional prototype of your cart to pretest regulatory requirements, to get a good idea as to whether or not the final design will pass the regulatory tests. 18. Find a cart design team that understands and designs to IEC 60601-1 standards. 19. Textured paint hides many cosmetic flaws, so it can help you save on finishing and fabrication costs. 20. Finding a medical cart design team with years of experience is critical for moving forward with your project, because they know how to avoid issues and efficiently take on many challenges. (At HUI, our team has an average of 20 years of experience designing for manufacturing). 21. Try to be as accurate as you can with the expected annual volume of your cart. If you overestimate the quantity by too much, it ends up hurting everyone in the end because designers pick manufacturing processes that make sense for your quantities. Your cart could end up being expensive because of the processes that were supposed to save you money with larger annual quantities. 22. When you ask a new manufacturer to quote an existing design for a cost reduction, you should also consider asking for a brand new cart quote based off their manufacturing processes and material knowledge. They’ll often find more cost reductions by optimizing a new design. 23. Cycle test all moving parts on your cart. For example, if you have a drawer slide that starts making noise after only a few cycles, your customers are going to be upset. It’s important to use materials that are going to last over time. 24. Avoid asking for cheap, low-quality products. 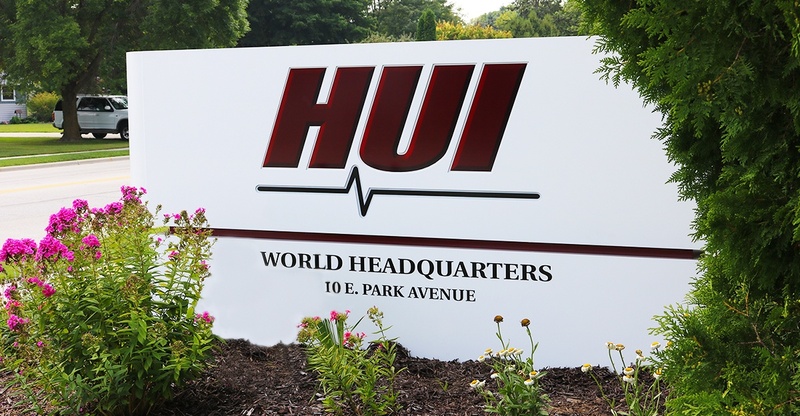 At HUI, we know how products get treated in the medical world. We will not provide our customers with a product, if we know it is going to fail. 25. Meet with your cart design team face to face. Their willingness to meet at the beginning of the project will give you a good idea of how much effort they’re planning to put into your cart development. It will give both teams a chance to develop a stronger relationship. The design team will also gain an idea of how your team operates as a whole, so they can work with you more efficiently. 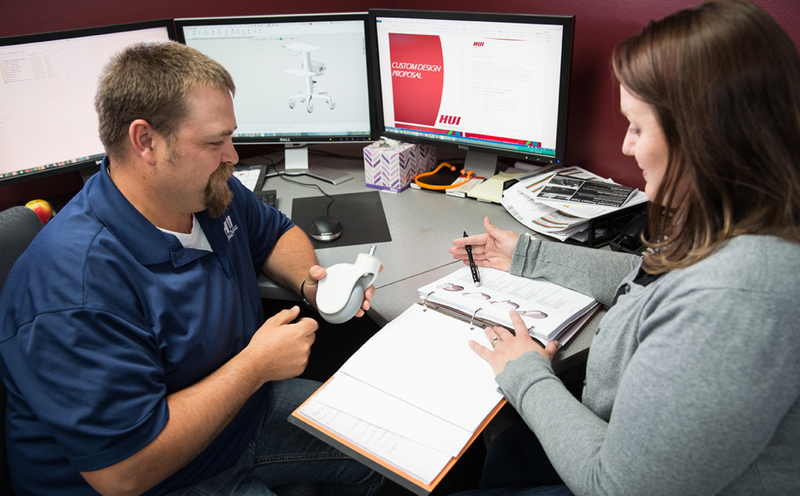 If you’d like to learn more about HUI’s medical cart design team, or if you need help with your own custom medical cart project, please contact us today. Were these secrets helpful? Please let us know by subscribing to get an email update any time we have a new blog post!